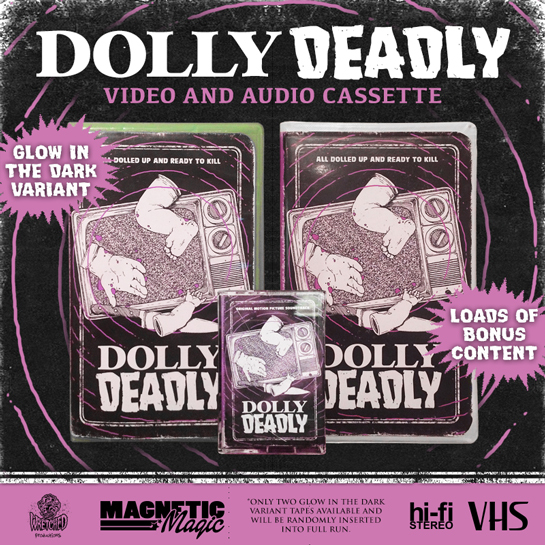 Magnetic Magic Rentals has teamed up with Wretched Productions to bring you Heidi Moore’s insane cult genre flick, Dolly Deadly, to video and audio cassette! 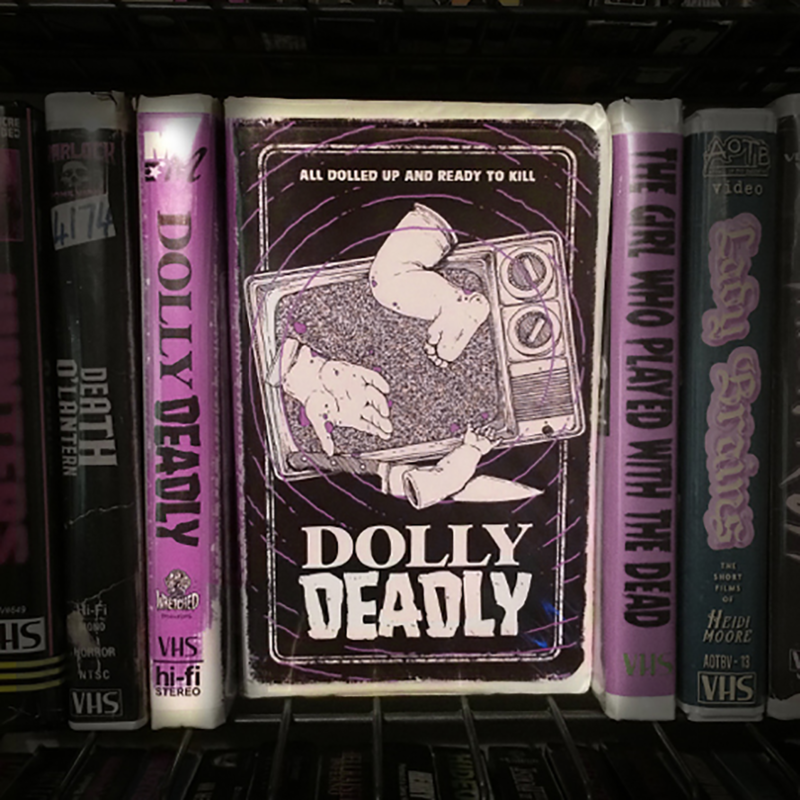 It’s no secret that we at Morbidly Beautiful are huge fans of the delightfully twisted indie horror comedy Dolly Deadly and the incredibly talented woman behind the film, Heidi Moore of Wretched Productions. As children of the 80s and 90s and film history buffs, we’re also madly in love with the physical media of days gone by and avid supporters of our wonderful friends at Magnetic Magic Rentals. Thus, we were overjoyed to hear of the new collaboration between two of our absolute favorites. 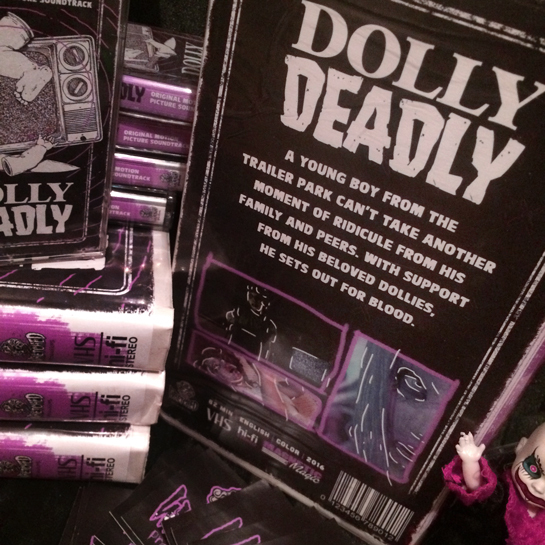 Thanks to Magnetic Magic Rentals, Dolly Deadly is coming to VHS and audio cassette. Each VHS release comes housed in a White Clamshell with Black tape, with two Glow in the Dark Variant Case copies randomly inserted into the mix. The VHS release also has plenty of bonus features included at the end, so don’t be so fast to eject once the credits roll! 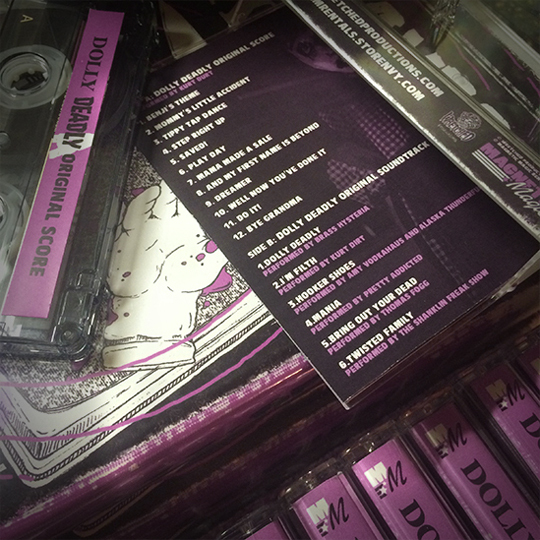 Each OST Cassette release comes housed in a clear case with a full color J-Card insert (Full tracklist can be found here). Each VHS / Cassette purchase also includes an 11×17 mini-poster featuring the original release cover art by Magnetic’s own Elijah LaFollette. Magnetic Magic releases never fail to disappoint, and we couldn’t be more excited to see one of the best indie films of 2016 get the VHS treatment. You’re the best, Stephanie! Thank you so much for the love and support. Keep it killer!